The Berlin crisis unfolded in the 1950s. The German capital had become a divided microcosm of the Cold War. East Berlin was controlled by the communist government of East Germany, while the western half of the city was occupied and supplied by the United States and its allies. Life in Berlin’s communist section was beset with problems. Though a large number of East Berliners supported communism after the war, many became disillusioned with its lack of progress and freedom. The East German government placed pressure on workers with ambitious production quotas and targets. Essential items like food, clothing and accommodation were subsidised by the government – but there were often shortages or long queues. East Germany’s industrial priorities meant that fewer consumer goods and luxuries were produced. East Germans were always mindful of the Stasi (‘State Security’), one of the Soviet bloc’s largest and most pervasive secret police agencies. From the early 1950s, it was difficult for East Germans to travel to nations beyond the Soviet bloc. The border between East and West Germany was transformed into a line of barbed wire, fortifications and guards, running from Czechoslovakia to the Baltic Sea. 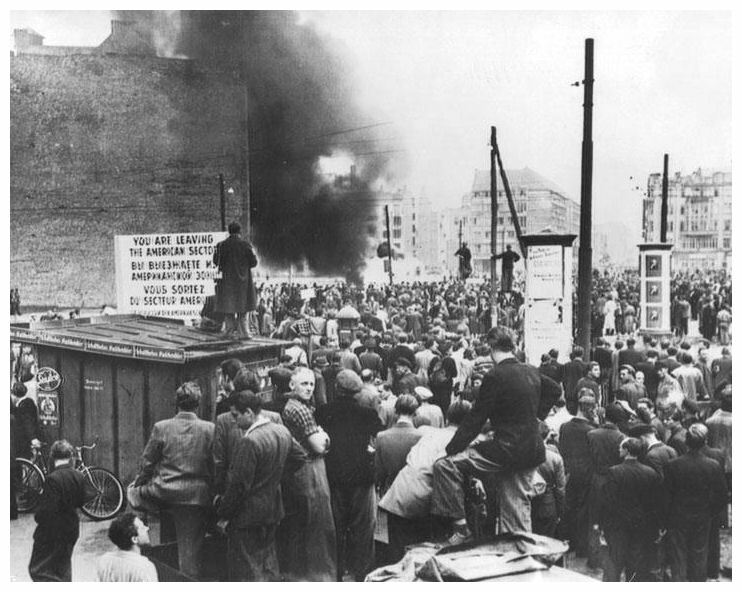 By mid-1953, tensions between East German workers and their government had reached fever pitch. The government demanded increases in work quotas but without any increase in pay. This corresponded with a shortage of foodstuffs and basic consumer goods – including rationing of electricity supplies. In June, several hundred construction workers went on strike in East Berlin, after the government threatened to cut their pay for not meeting production quotas. This strike grew into a mass protest involving around 40,000 people, most calling for a reduction in quotas and some political reforms. In time, the protesters came to demand the removal of the East German government. 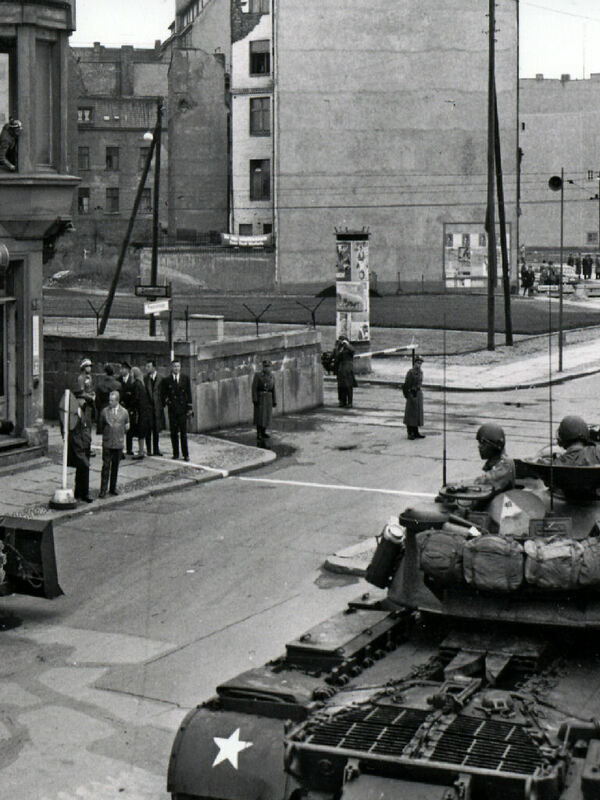 Police and Soviet troops moved to confront the protestors on Unter den Linden (‘Under the Limes’, a well-known street). The police fired on the crowd, killing at least 55 people, though the actual death toll may have been ten times that amount. Khrushchev announced that West Germany, America, Britain and France should sign treaties with East Germany to turn over control of West Berlin. He gave the Western allies six months to finalise this. Once Khrushchev’s ultimatum expired, any future access to West Berlin would be entirely a matter for the East German government. Khrushchev’s ultimatum generated headlines – but the western powers called his bluff, declaring their intention to remain in West Berlin, along with an assertion that they had the legal right to do so. When Khrushchev’s ultimatum expired in May 1959, nothing had happened. Khrushchev’s gambit had failed and he was forced to withdraw his demands. Foreign ministers from the four powers met in Geneva in mid-1959 to discuss German reunification, though nothing was agreed. The Berlin situation was further eased in September 1959, when Khrushchev visited the US and met with president Eisenhower. “The Kremlin leader [Khrushchev] had always considered the western city of Berlin a ‘festering sore’ on the German Democratic Republic, but also the ‘testicles of the West’. “Every time I want to make the West scream,” he remarked, “I squeeze Berlin”. Early August 1960 saw a flurry of meetings between government representatives and foreign ministers on both sides. The Americans, British and French met in Paris and resolved to ignore Khrushchev’s provocation. To respond to it would invite further Soviet aggression, and possibly war. Khrushchev himself was busy considering a KGB plan to divert American attention from Berlin, by stimulating rebellions and unrest in Africa and Central America. The pivotal decision with regard to Berlin instead came from East Germany. On August 12th, the government there signed an order to seal the border between East and West Berlin. From this seed would spring one of the iconic symbols of the Cold War: the Berlin Wall. 1. By the 1950s East Berlin was tightly controlled by the state, its people deprived of essential and consumer goods. 2. This led to unrest, such as a series of rolling strikes and protests in 1953 demanding reductions in work quotas. 3. 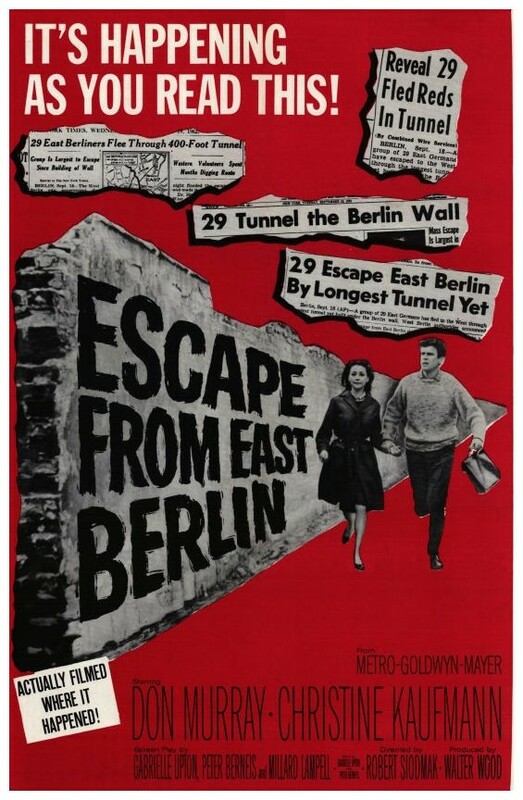 Many despairing East Berliners fled the city into West Berlin, the numbers of refugees increasing to 207,000 by 1961. 4. Fearing a ‘brain drain’ of skilled workers, Khrushchev issued a 1958 ultimatum for the US to leave West Berlin. 5. This ultimatum was ignored, however Khrushchev again attempted to pressure the West after the election of John F Kennedy as US president. 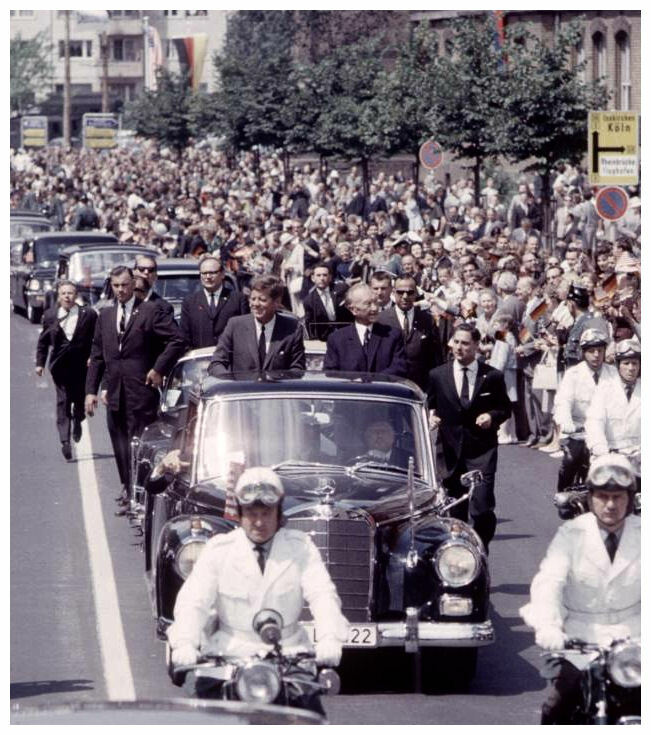 Kennedy staunchly resisted Khrushchev’s demands and visited Berlin to show solidarity with its people. J. Llewellyn et al, “The Berlin crisis”, Alpha History, accessed [today’s date], https://alphahistory.com/coldwar/berlin-crisis/.